Join the Cornish Seal Sanctuary to celebrate their Diamond Anniversary this summer! Between 21st July and 2nd September you can swim through history and learn all about the Cornish Seal Sanctuary's origins; from the beginning in 1958 to the record year of seal rescues today. Take part in a guided historic tour where you can learn about how seal rescue has changed or take a moment in the Sanctuary´s Cinema where you can sit back and enjoy a visual journey through the last 60 years. Also daily talks and feeds as well as fun and games for all the family! Click here to Book your online advance entrance tickets for fantastic savings. Here are just a few of our cherished memories we wanted to share with you. 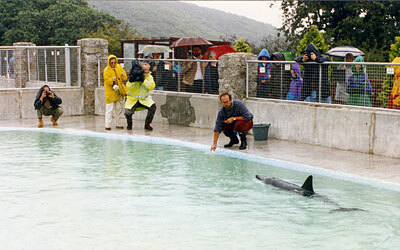 Looking back over the years...Not only has the Cornish Seal Sanctuary rescued pups, there has also been the successful rescue, rehabilitation and release of a Dolphin. On 22nd August 1992 a young male common dolphin was stranded on a beach near Hayle, he was taken to the Sanctuary, where staff had to support him in the water for 17 hours. Click here to read more. You can also click here to read about Duchess, a seal pup named after the Duchess of York, she had a dramatic arrival at the Sanctuary in February 1993, helped by an ex-farmer who loved seals! 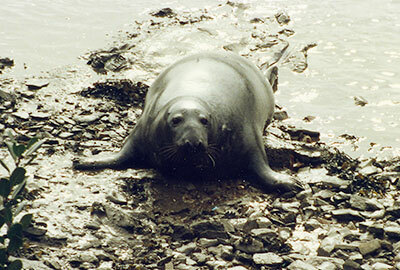 Magnus, an adult male grey seal, was in October 1990 the first seal to be re-homed at the Sanctuary from Edinburgh. Ken Jones was contacted by the media to prevent Magnus being euthanased, after the death of his partner in Scotland. In 2004 Magnus was joined by his daughter Snoopy from Whipsnade Animal Park. 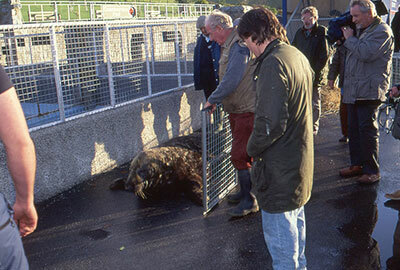 Magnus lived 18 very happy years at the Seal Sanctuary until he passed away in August 2008. Please click here or on a picture of your choice below to see a larger photo. 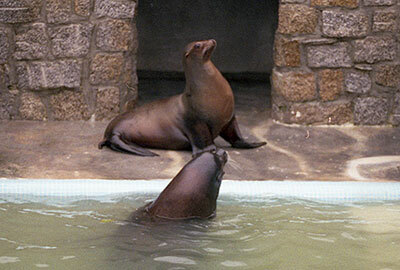 This is a beautiful Californian Sea Lions story of how Pepper met Rocky in 1992...The Sanctuary had been looking for a partner for Rocky for some time and after one of our American visitors, who had heard about Rocky during one of our feed talks, had contacted New England Aquarium, we found the ideal partner. Pepper was in an Aquarium in Cape Cod which had closed down and she was looking for a new home. Click here to read their story. 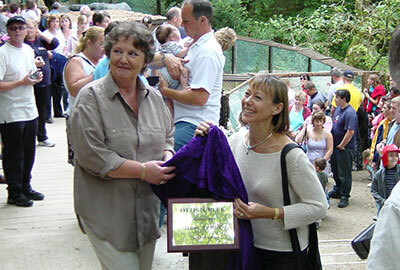 In July 2002 Actress Jenny Agutter attended the official opening of the Seal Sanctuary´s Otters enclosure. A keen animal lover, Jenny opened "Otter Creek", a facility that highlights the conservation work being undertaken by local environmental groups. Click here to read their story. Over the years, six Asian Short Clawed Otters needed a home at the Sanctuary including Thai & Bamboo, Starsky & Hutch and the current partners Apricot & Harris. 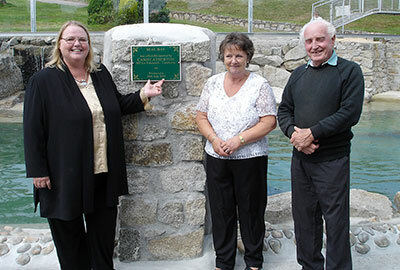 On 28th July 2004 Seal Bay was officially opened by local MP for Falmouth and Camborne, Candy Atherton and Ken Jones. Click here to read more. Some of the sanctuary staff from past and present were at the Seal Bay to welcome Flipper and Yulelogs to their home. Great treasured memories! 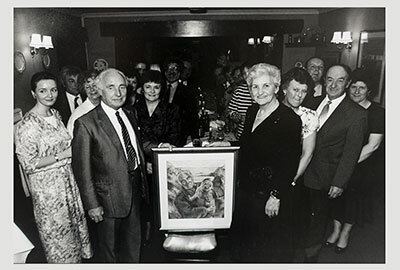 - This amazing photo below was taken in late 1980s : Front - Ken & Mary Jones with Mary-Ann, Dave, Dotty, Judy, Mike, Don, Sally, Thyella, Malcolm, Courtney and Margaret. 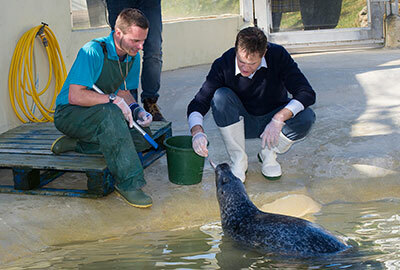 Nick Clegg, the Deputy Prime Minister, paid a flying visit to the Cornish Seal Sanctuary on 5th March 2015 to meet staff and animals, to announce a £5 million boost to attract visitors to the south west. Click here to read more. 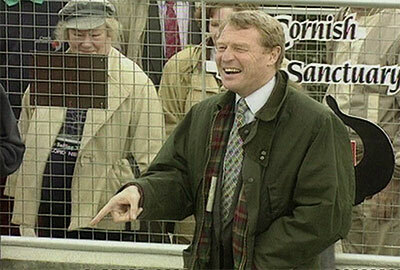 Paddy Ashdown, on a flying visit to the West Country, had asked to visit the Sanctuary in 1992. Click here to read more. 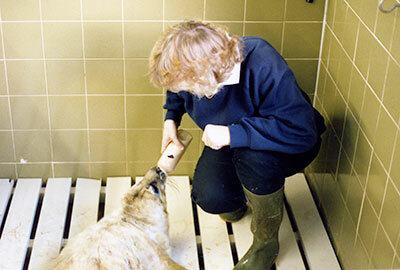 Who remembers bottle feeding the rescued seal pups when they visited the seal sanctuary, some children were lucky enough to bottle feed the pups up until 1994. James and Stuart in 1993 treating Duchess. 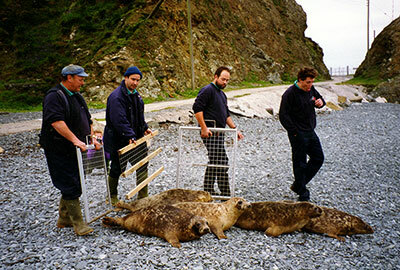 Malcolm, Phil, James and James helped with a seal release in 1993. Gladys used to come up the Helford estuary most days hoping to get a fish or two. Click here to read more. Click on an image below to watch a video from our archives. 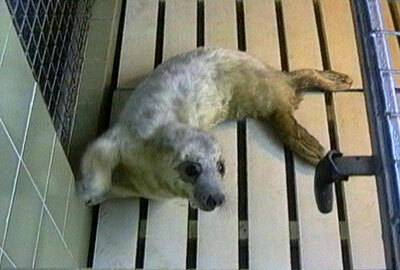 Here is a short video of a rescued seal pup named Kevin from the 1992/93 season. He was returned to the wild in April 1993. 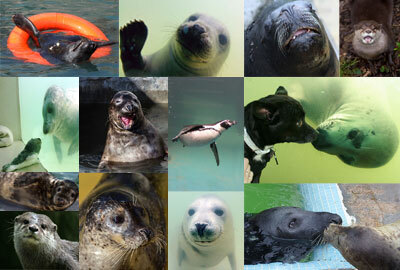 If you have any photos you would like to share with the Seal Sanctuary, please send them in via this email address. Lets start you off with one of the visitor´s photos taken in 1980 at the sanctuary. Also photos from Alice in April 2010, the Kelley family in June 2015 and the Lawrence family in October 2015. We really hope you enjoyed reminiscing with us in this very special July 2018 newsletter edition. Next month we will dig deeper in to our archives and look in more detail at some of the big events in the Sanctuary´s history. 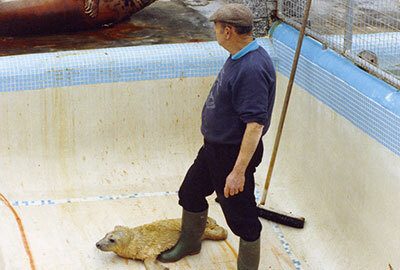 If you do get a chance to visit the Seal Sanctuary you will see more rare video footage and more photos. Thank You for joining us in this edition. Don´t forget to purchase your entrance tickets for single admission tickets, family tickets, group tickets, school bookings, etc., on-line in advance and Save Money. 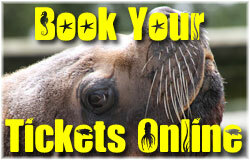 Plus you can also purchase SEA LIFE Annual Passes and Merlin Annual Passes. When you click here or on the button right, it will take you through to Merlin Entertainments´ Official Cornish Seal Sanctuary website for the Best Price Guarantee. 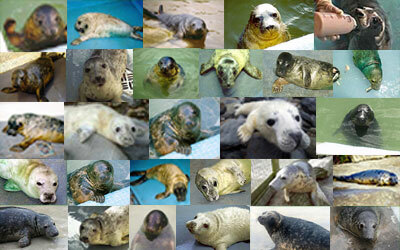 This news update has been put together by volunteers/supporters of the Cornish Seal Sanctuary.